Remember the first Halloween movie? 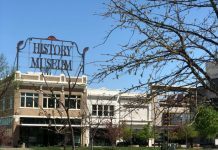 I watched it at the theater with my first husband just days after we were married. I’ve never recovered. Yes, I realize it was 1978 and I should be over it by now…but I’m not. It only takes a few notes of the movie’s theme music to send a chill up my spine. Although there are plenty of terrifying horror movie characters capable of making my skin crawl, the knife-wielding Michael Myers of Halloween is the one that terrifies me most. 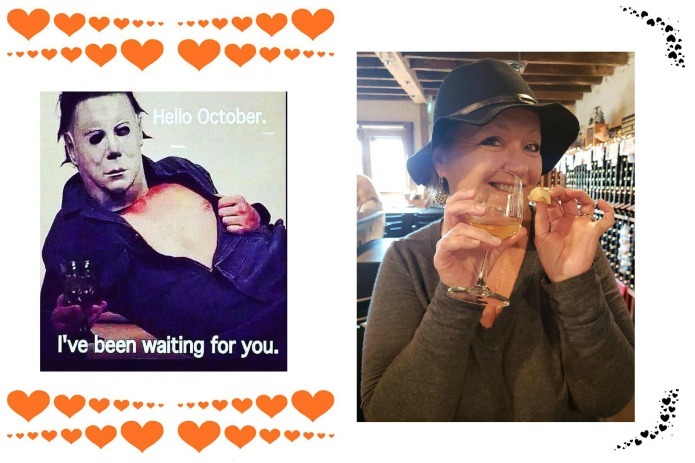 My talented photographer daughter knows this and when October rolls around, she takes full advantage of my fear. 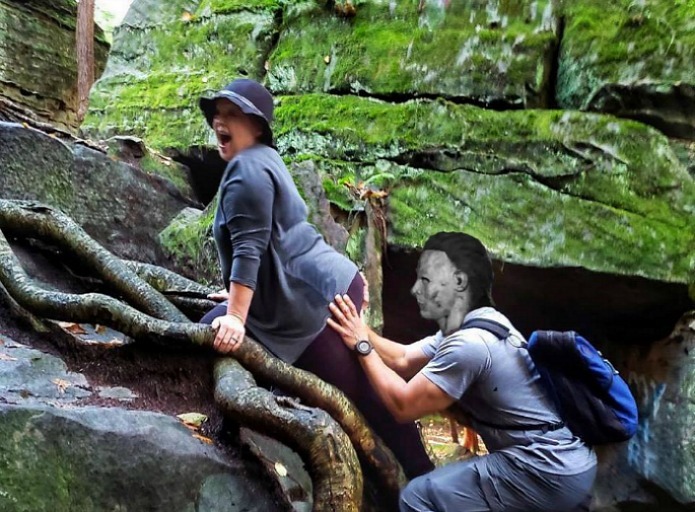 All month I awake to a new photo of Michael joining me on my travel adventures. He’s the worst kind of stalker. I don’t know what I did to her as a child to make her this evil. Although I have been known to send her photos of clowns in retaliation. 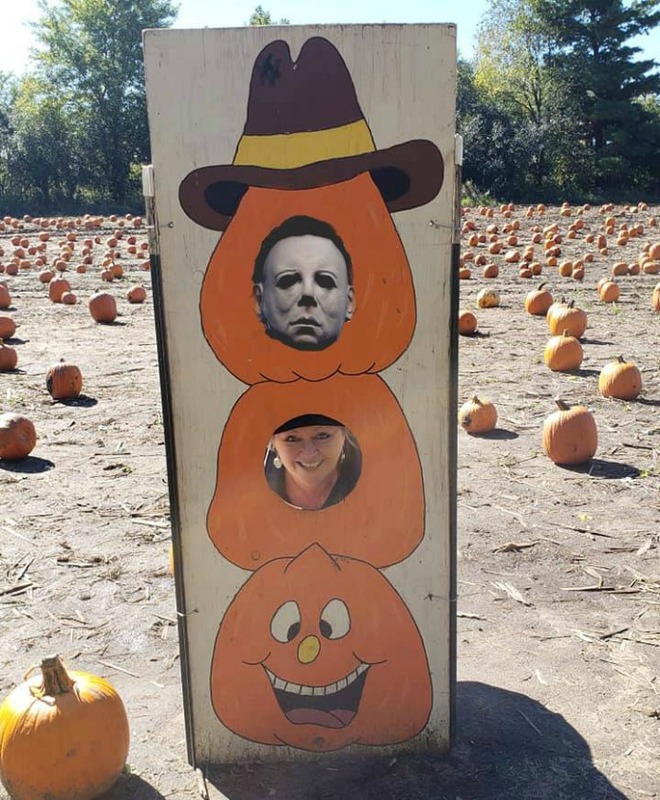 Rather than keeping all of this “fun” to myself, I thought I’d share it with all of you this October. You’re welcome. Autumn leaves, pumpkins and scarecrows are welcome in October. Michael isn’t. 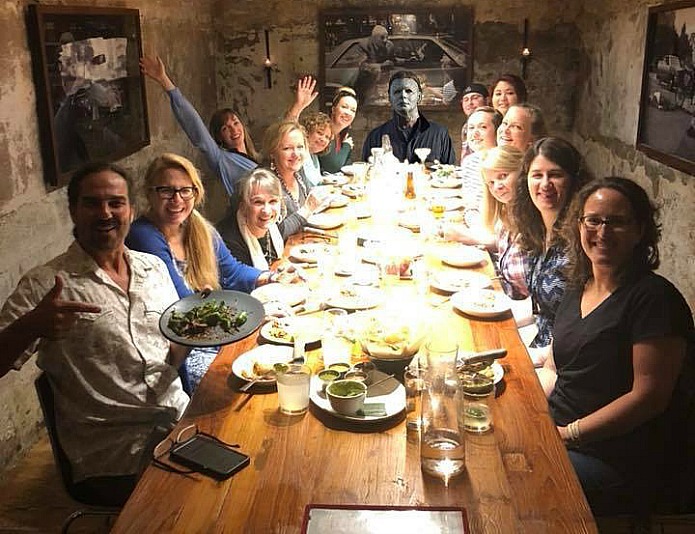 As I dined on Tex-Mex cuisine in Austin, Texas with friends, Michael made an unwelcome appearance. 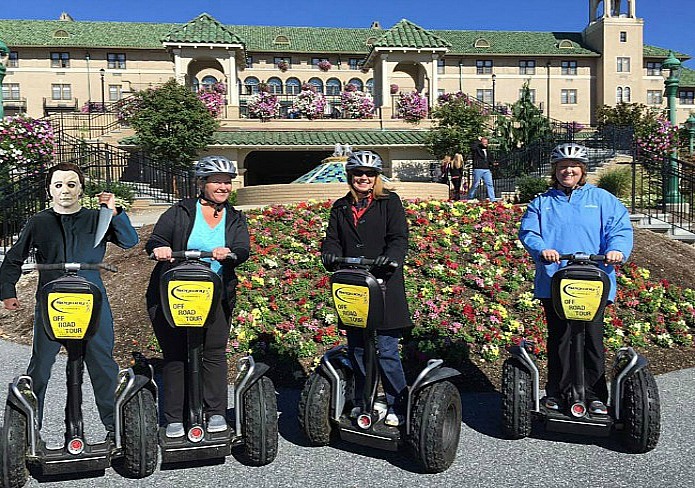 It was a beautiful autumn day at the Hotel Hershey in Pennsylvania. 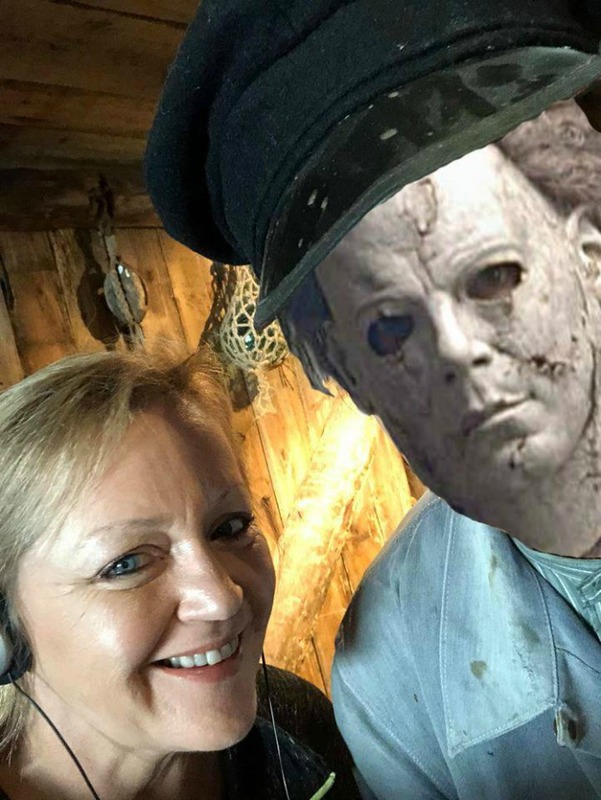 I was enjoying a Segway ride with two of my girlfriends when Michael showed up. While exploring the cultural history of the stunning island of Hitra off the coast of Central Norway, Michael inserted himself into the story. 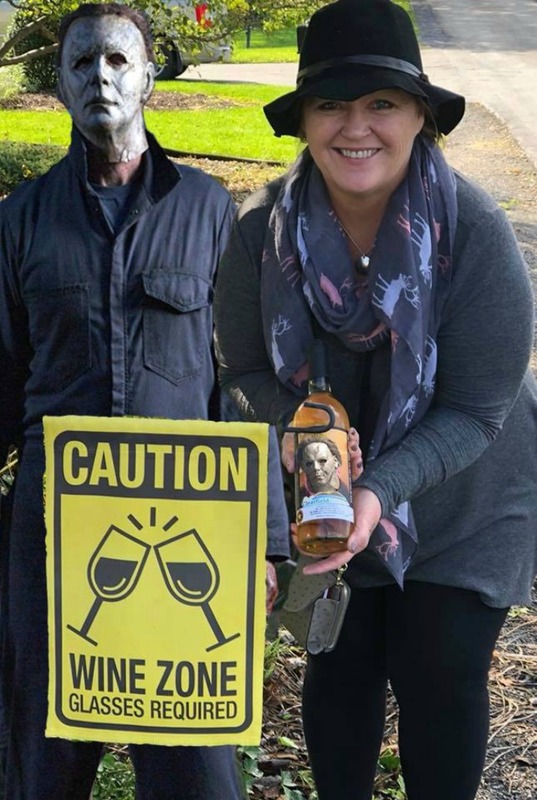 Just when I was ready to imbibe in a little liquid fun at Starr Hill Winery in Clearfield County, Pennsylvania, Michael appeared. 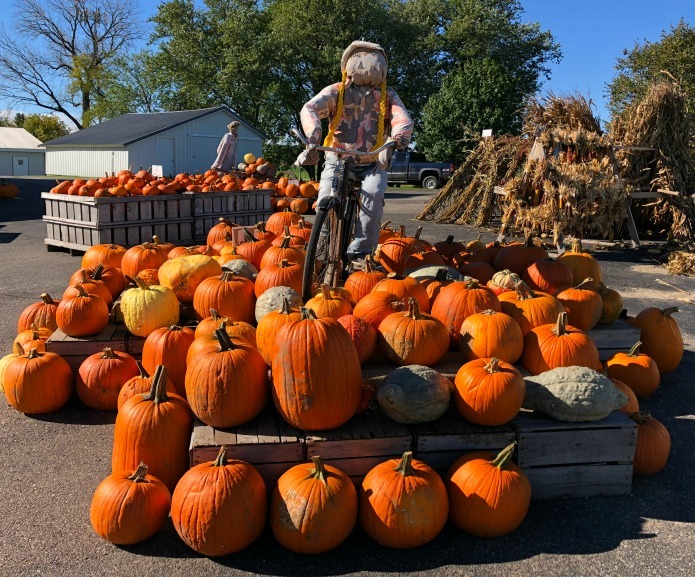 Following the bridge to the pumpkin patch at Skelly’s Farm Market in Janesville, Wisconsin, I was delighted to pose for a photo. Apparently, so was Michael. I attempted an escape to Montauk in the Hamptons with friends. 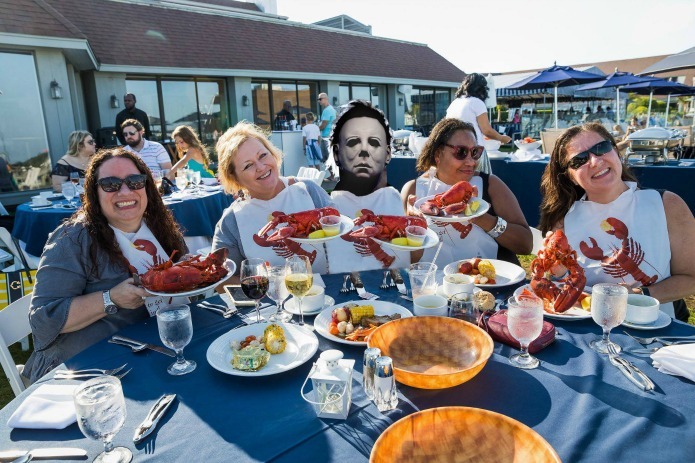 Michael made himself at home for our lobster fest. 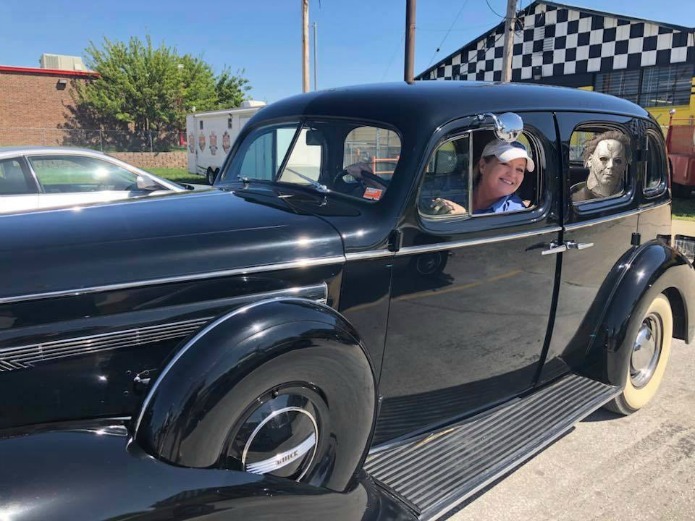 Ready to roll in this classic beauty outside the Route 66 Car Museum in Springfield, Missouri when I picked up a backseat passenger. Out for a hike among the ancient Bilger Rocks in Clearfield County, Pennsylvania when I needed a little help to get to the top of the pile…guess who showed up to lend a helping hand? Enjoy your Halloween. I’ll be hiding under the covers with the doors locked.